Shelves of Vinyl: Happy Release Day!!!! I am beyond excited for two records that came out today. The first being the follow up to Ra Ra Riot's amazing debut release, The Rhumb Line. 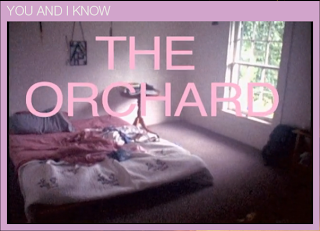 The Orchard has been highly anticipated by many music lovers and I can very happily say that it is beautiful and I absolutely love it. Stream it over at SPINNER here. The band is playing a record release party tonight in Williamsburg at Brooklyn Bowl. 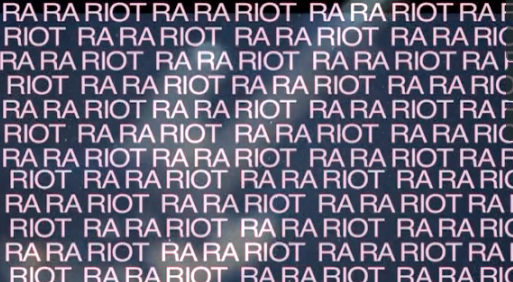 Members of Ra Ra Riot and Vampire Weekend will be teaming up to show off of their DJ skills. Maybe we can hope for a live Discovery set? Who knows! Definitely check out the band's myspace for a complete list of tour dates, some with my new loves, The Givers who were highlighted this week on Stereogum as a "Band To Watch." Special thanks to the ultra innovative and always fantastic Barsuk Records for supporting and releasing this delightful band. The second record that I am really excited about is definitely going to be one of my favorite records of 2010. (Yes, we are already in August and starting to think about end of the year lists...). Dead Confederate are a rusty/raw -- dangerous band out of Augusta, Georgia. Like any proper Southern band they wreck your eardrums with hot, dusty, bittersweet guitar rifts. With their new record, Sugar, the band departs from their rustic dark caves of sound and and take a route that reminds me of Silversun Pickups and old-school (aka: GOOD) Smashing Pumpkins. The overall effect is a lighter more experimental record that will appeal to people's old school grunge tendencies as well as the love for a good pop song with digestible lyrics. This band has always been good. This is no secret. With this record I hope they get the attention they so dearly deserve. Heading out on a North American tour they will be sharing the stage with one of my ABSOLUTE favorite bands of the year, Futurebirds. Do yourself a huge favor and check out this band. They are ridiculously talented, delightfully fun and disastrously addictive. Overall, going out to see these two bands in one night will prove to be more fun than you can handle without bringing friends along and perhaps taking home a vinyl or two. 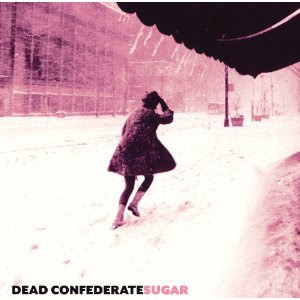 You can also steam Sugar over at SPINNER or purchase it from iTunes (with an exclusive download tossed into the mix), I know it is unheard of to BUY records but you should and especially anything released on Old Flame, Dead Confederate's loving home. I love this music. I know we all love to make money realy easy with what we love to do but if I could make money playing music, I would give thanks to the gods. Keep playing for us man! I love what ya'll doing man!